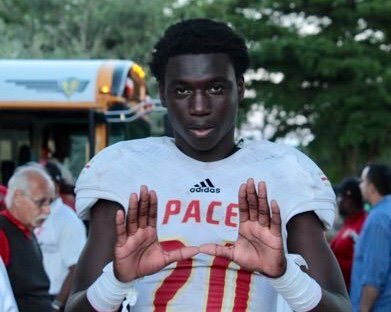 InsideTheU has confirmed that Opa Locka Monsigner Pace safety/linebacker James Williams gave a verbal pledge to the Hurricanes while in Coral Gables on Saturday for the program’s Underclassmen Day. Williams, who is unranked by all major recruiting services at the time, also claimed early offers from Tennessee, Pittsburgh, Syracuse and Louisville. “I like Miami a lot,” he said previously. Williams (6-3, 200) totaled over 100 tackles this past season.